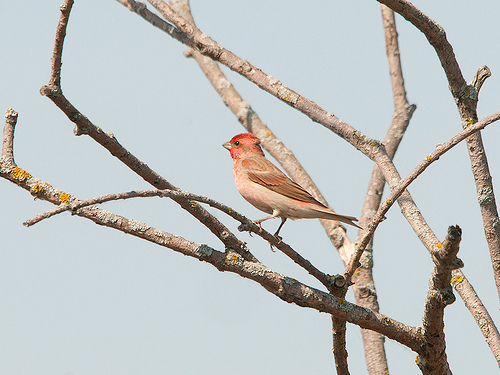 The Rosefinch seems to be expanding westwards in Europe. 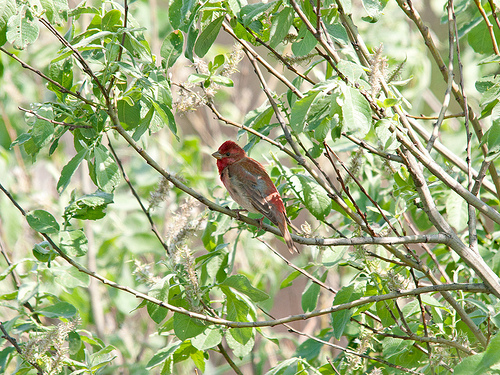 In summertime the male has a red head and breast. The female is light brown.